"Wiley and Projekt DEAL both believe that we can work together to improve and lead the way in which knowledge is created and shared more openly." 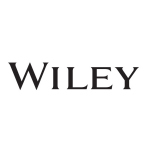 HOBOKEN, N.J.--(BUSINESS WIRE)--John Wiley & Sons, Inc. (NYSE: JWA and JWB), a global leader in research and education, announced today a countrywide partnership agreement with Projekt DEAL, a representative of nearly 700 academic institutions in Germany. Under an annual fee, this transformative three-year agreement provides all Projekt DEAL institutions with access to read Wiley’s academic journals back to the year 1997, and researchers at Projekt DEAL institutions can publish articles open access in Wiley’s journals. The partnership will better support institutions and researchers in advancing open science, driving discovery, and developing and disseminating knowledge. In order to enable the signing of the Projekt DEAL contract with Wiley, the Max Planck Society, as a member of the Alliance of Science Organisations behind the Projekt DEAL Consortium, founded MPDL Services GmbH. “Following the request of the alliance of research organisations in Germany, we have been happy to organise and implement this national contract with Wiley. This is in full accordance with efforts such as OA2020 that the Max Planck Society has undertaken over many years to promote open access of scientific publications, to invest in modern scientific publishing methods and to make sure that the copyrights of scientific articles stay where these belong, namely with our scientists“, said Max Planck President Martin Stratmann.